The 2019 Society for Industrial Archeology Fall Tour will take place September 19-22 in Reno, Nevada. Tour will highlight the many historic and current industries of the region, including mining, transportation, power generation, manufacturing, and distribution. Surrounding areas such as Virginia City, Carson City, Lake Tahoe, Donner Pass, and the Tahoe-Reno Industrial Center, are all within a one hour drive of downtown Reno. The conference hotel will be the recently renovated Whitney Peak Hotel, located in the heart of downtown, next to the famous Reno Arch. Please watch this space for more details as plans for the event develop. 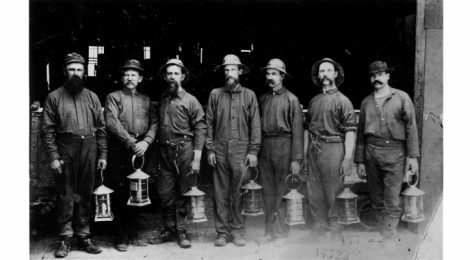 Photo Caption: Virginia City Miners, circa 1870, unknown photographer.